Hi there! And welcome to today’s episode of ‘Reducing My Oldies Stash’. 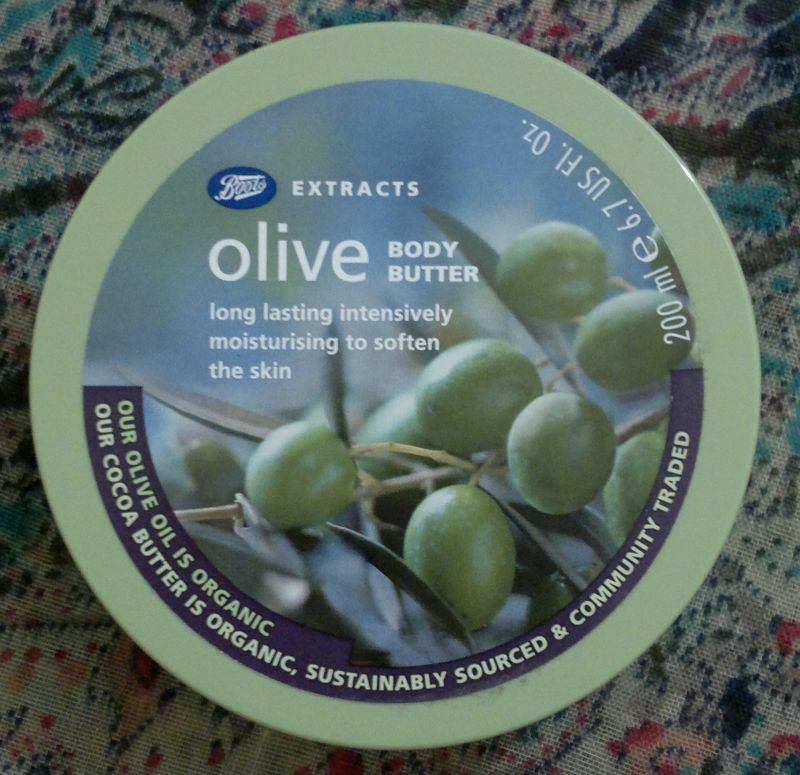 😉 Today I’m reviewing an old favourite, Boots Extracts Olive Body Butter. 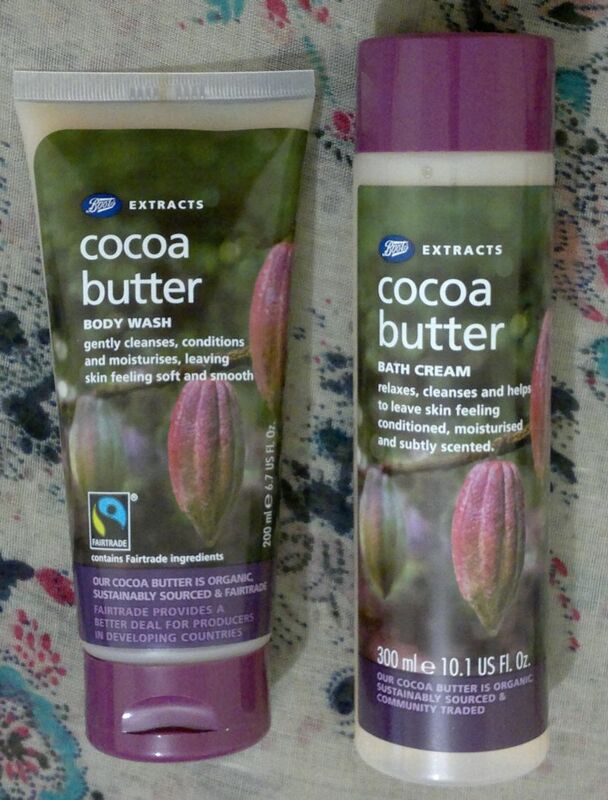 First of all, this body butter smells amazing. No, it doesn’t smell like olives or olive oil. It smells fresh, green, joyful and feminine. It’s perfect – I love it! And I’ve never come across any other ‘green’ fragrance that smells this lovely. Now let’s get to this body butter’s actual job – skin care! This body butter is definitely nourishing and moisturising. It makes my skin feel soft and supple. It’s perfect for dry, very dry and flaky skin. However, this body butter isn’t sticky at all because it’s easy to massage into the skin, and it’s absorbed quickly. I think the formula is perfect. 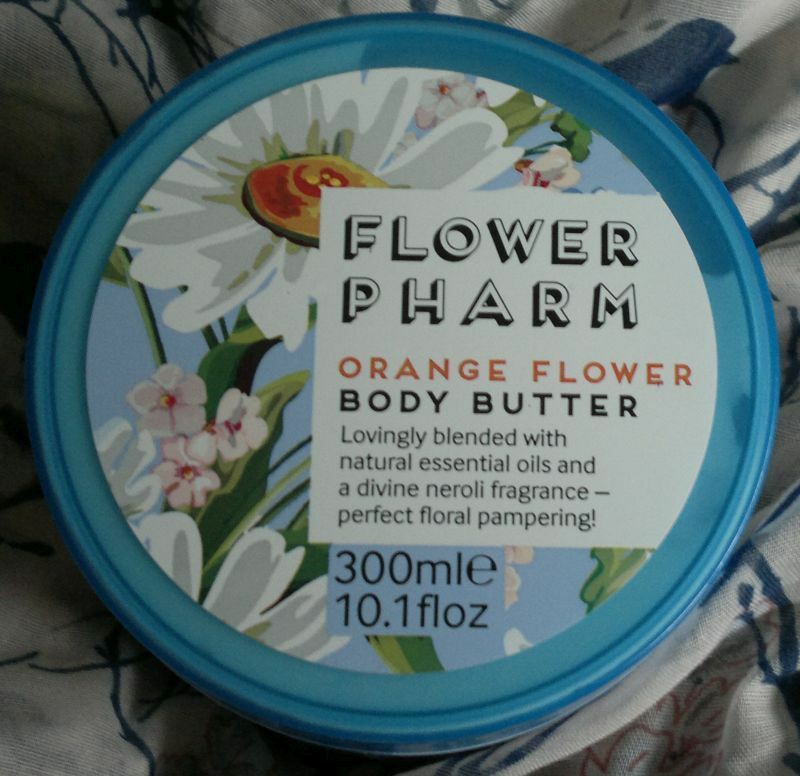 Because of this it is very unfortunate that Boots discotinued this body butter. And it’s even worse hat they replaced it with a cheap smelling strawberry body butter. I’m glad that I still have a few tubs of this olive body butter. I’ll be enjoying them very much, no doubt. Hi there! About two months ago I told you that I found two cute I Love… gift sets at my local Asda. One of the gift sets contained summery shower gels, the other set contained winter-themed shower gels. 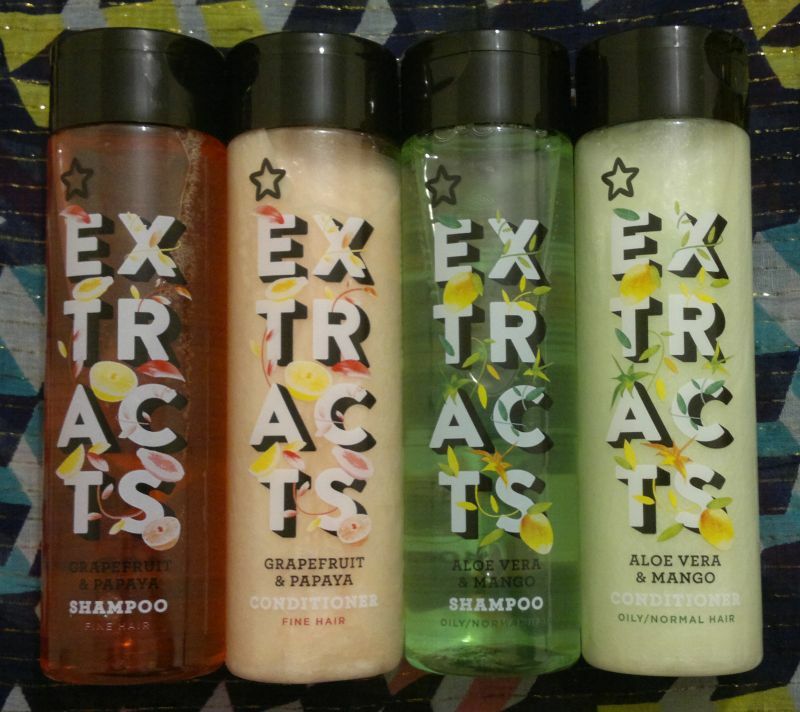 Of the six summery shower gels only two were interesting (and new) to me. However, I found four of the six winter-themed shower gels tempting. The two shower gels that I didn’t care for were Cherry Almond Sparkle (had it last year, it annoyed me half way through the bottle) and Spiced Cinnamon (I gave it a sniff and I knew I wouldn’t like it). 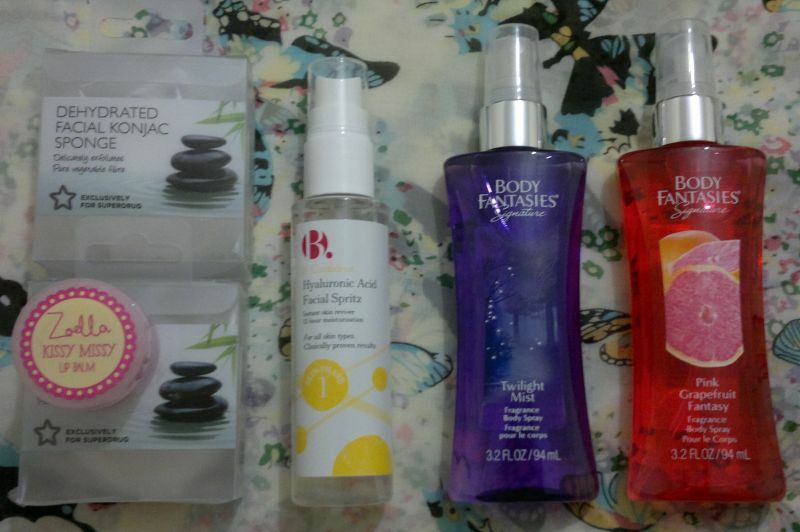 I gave these two away with the four summery shower gels that I didn’t love. I Love… Chocolates & Oranges disappointed me. Yes, it smells somewhat chocolately, and yes, it also smells somewhat orangey, but it doesn’t smell delicious at all. It smells more like cheap dish soap. I’ll finish this shower gel (fortunately it’s only a 100ml bottle), but I have to say that it’s definitely one of my least favourite shower products ever. I Love… Iced Cookie is very nice! It’s cookies and icing and Christmas… This shower gels reminds me of the extremely delicious soft and fluffy German gingerbread thingies (?) I stuffed my face with when we visited Cologne a few years ago. So yeah, this shower gel is awesome! I Love… Mixed Berries is a decent shower gel. It doesn’t smell particularly christmassey but the fragrance is pleasant. It’s fruity, but it’s not a sugarbomb. Nice! 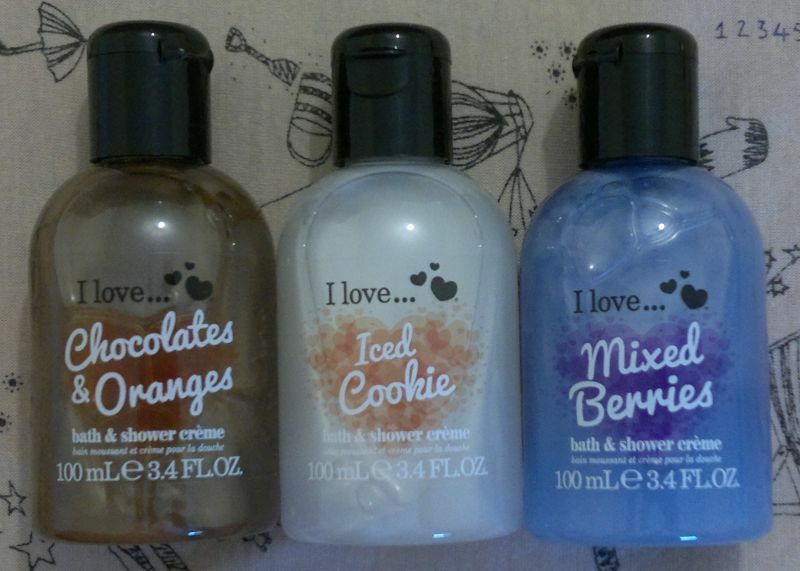 I found my two I Love… sets (6 different shower gels per set, 100ml per bottle) for £2.99 each at my local Asda. Unfortunately the majority of the fragrances in these sets aren’t part of I Love…’s permanent collection, so if you end up loving one (or several) of the shower gels, you won’t be able to buy a full-size bottle. Hi there! I’ve got another face mask review for you today. 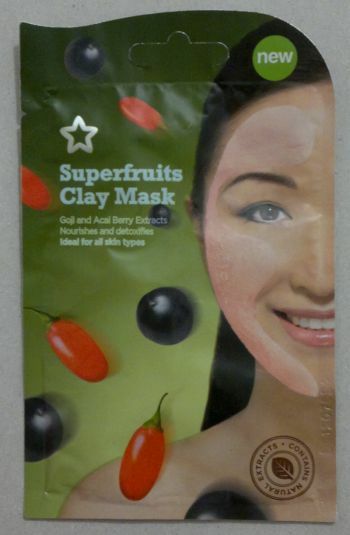 So let me tell you what I think of Superdrug’s Superfruits Clay Mask. This clay mask is like every other clay mask. You apply it, then you leave it alone so that it can dry (this takes about 20 minutes), and then you rinse it off. And what’s special about this mask? The fragrance! This mask contains goji berry, pomegranate and acai berry extracts (and natural clay and sea salt) which are said to have anti-oxidant properties. Whilst I can hardly comment on any anti-oxidant benefits (How could I? ), I must say that this mask smells simply fantastic! I love it! Yes, the mask also feels cleansing and purifying – but I think it’s fair to say that almost every other clay mask out there does the same. However, the fragrance makes this mask particularly delightful! Based on my experience I would recommend this face mask. It’s 99p at Superdrug, although Superdrug runs promotions (it’s usually 3 for 2 or Buy 1 get 2nd half price) all the time. In addition, this mask carries the Leaping Bunny logo. It’s certified cruelty-free and it’s suitable for vegans! Hi there! And Merry Christmas! Today’s post is my weekly recap. If you’ve missed any of my posts this week, this post will bring you up to speed. So let’s start! 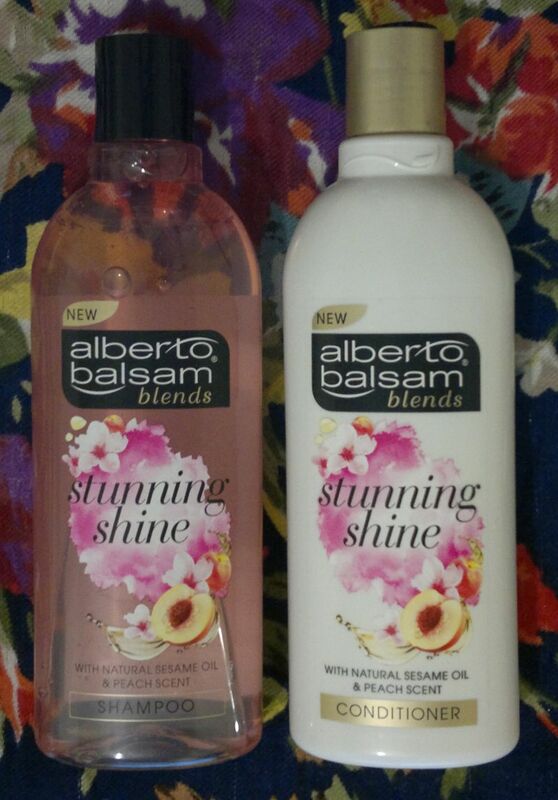 Monday’s post was about Alberto Balsam’s Stunning Shine shampoo and conditioner. I like these two products. You can read the full review here. Tuesday’s post was a nail post. 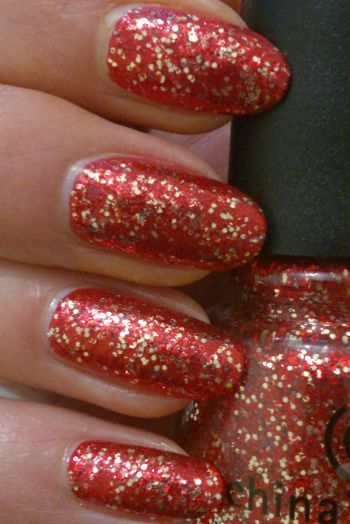 I went for christmas glitter on a white base. 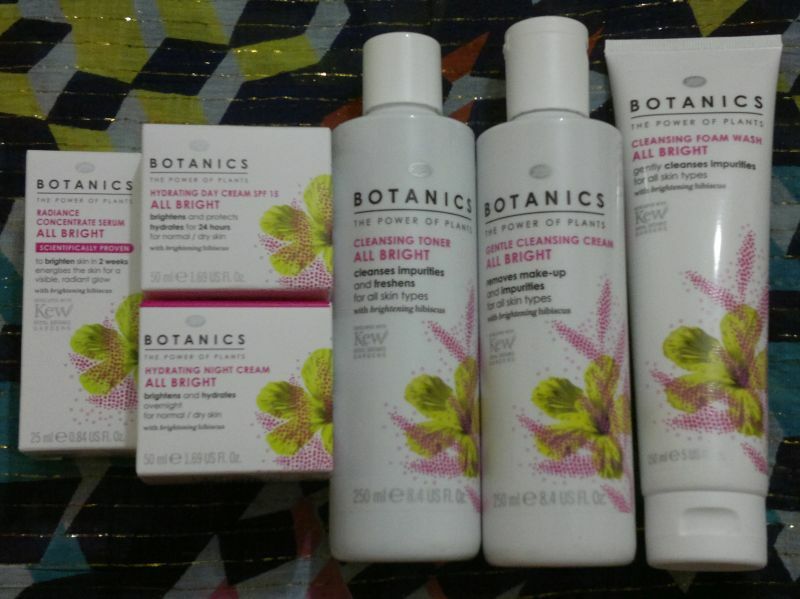 If you want to know which products I used, click here to read the post. 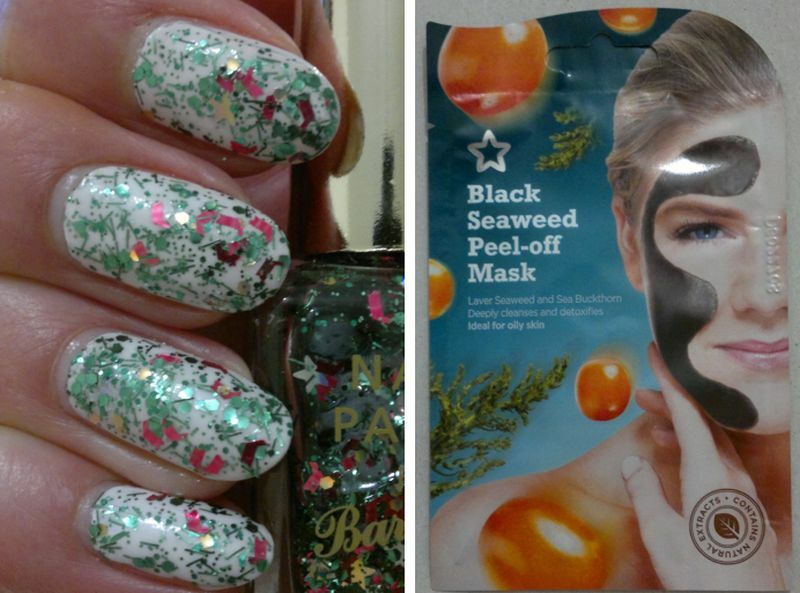 On Wednesday I reviewed Superdrug’s Black Seaweed Peel-Off Mask. This mask is fantastic! You can read the full review here. 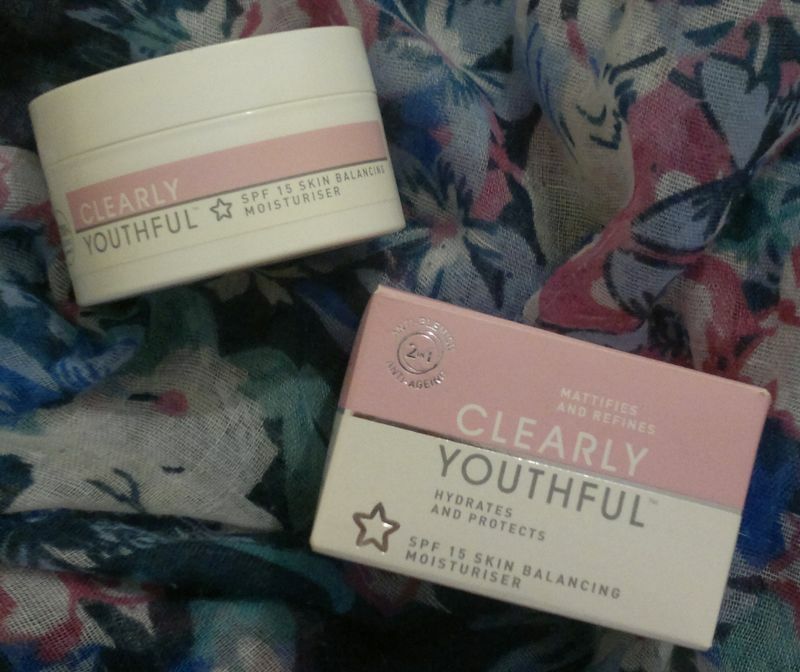 Thursday’s post was about a product that I won’t miss when it’s gone – Superdrug’s Clearly Youthful SPF 15 Skin Balancing Moisturiser. If you’ve missed the post, you can read it here. 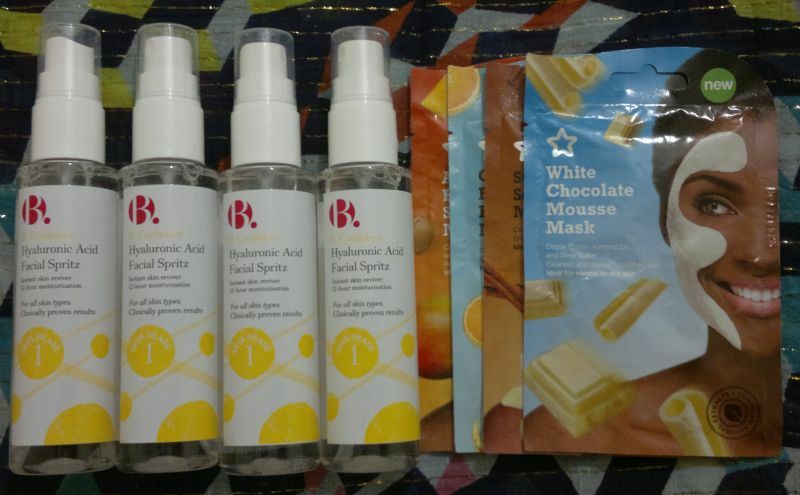 Friday’s post was about the new products I bought recently. 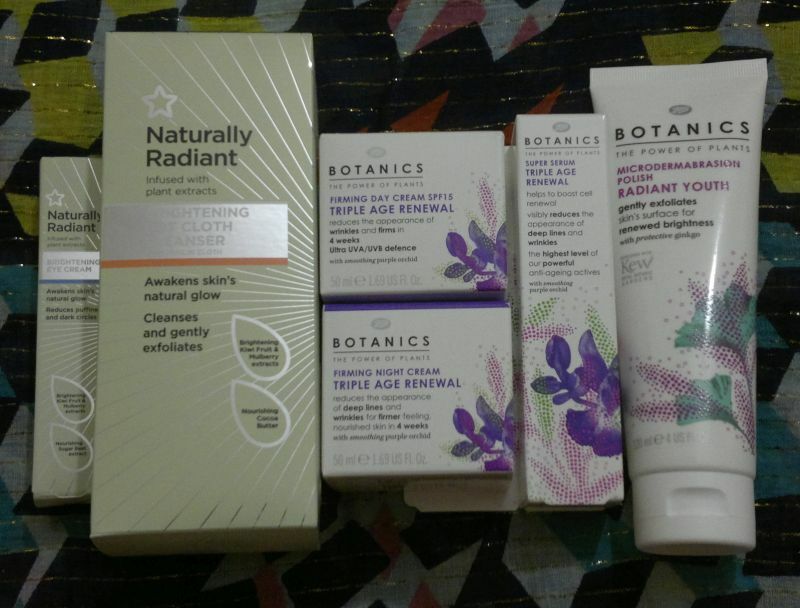 I didn’t need any of these products, but I couldn’t resist. Click here to see all the goodies I bought.